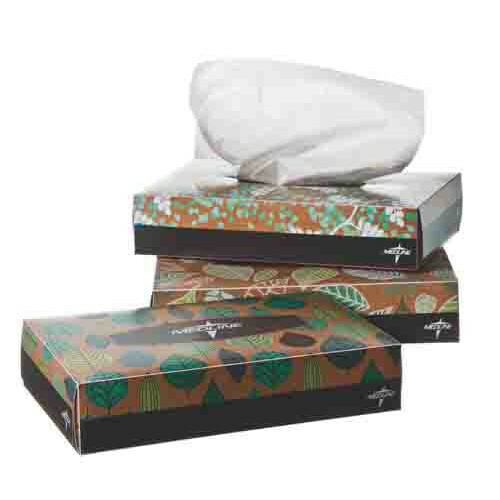 MedLine NON243275 Standard Facial Tissues are constructed from 2-ply, recycled paper, which makes them an economical choice for any medical facility. When you choose MedLine Facial Tissue, you get a high-quality product that comes in three stylish box designs: trees, circles, or leaves. 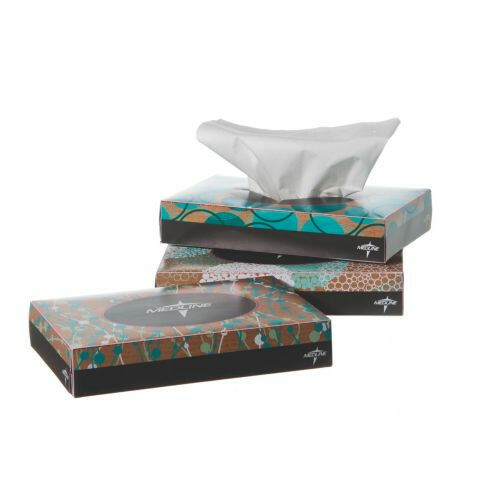 These tissues are great in a healthcare environment or for use within the home. Each box measures 5.7 x 7 inches, each box contains 40 sheets of tissue, and they are available for purchase by the case of 200 boxes. You may also be interested in MedLine's Premium Facial Tissues.